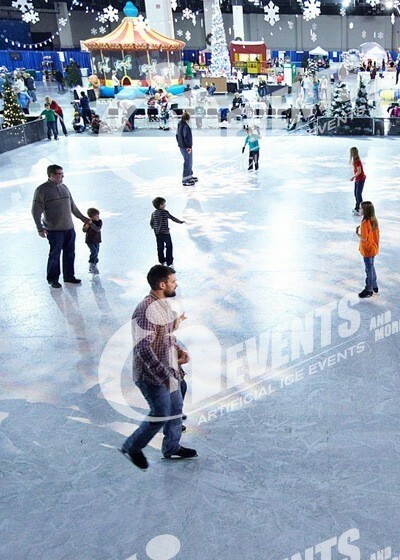 Artificial Ice Events is built on a pro skater’s experience.It was founded by a 17 year competitive speed skater where skating on ice was more than a surface, it was a science. Hundreds of executed jobs mean each Artificial Ice team member is experienced in generating freight quotes, customs brokering, union venues, sub floor recommendations, installing ice and sharpening skates. Largest U.S. inventory with guaranteed rental availability. 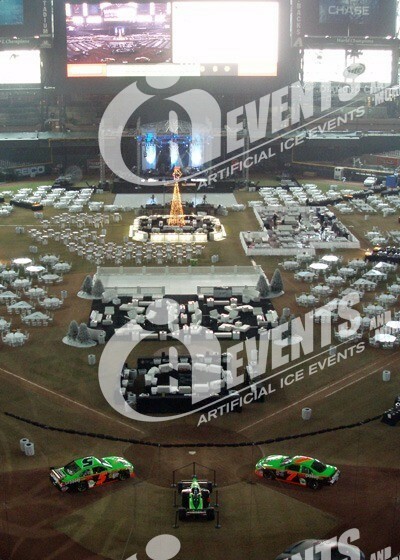 Artificial Ice Events is the only company to have designed and manufactured its own fencing system. The system will not break in rapid temperature changes, blow over with strong winds or look dirty during extended installations. Aside from these features the fencing system is designed to hold custom signage or artwork as advertising boards providing you endless possibilities for visual appeal or sponsorship opportunities. 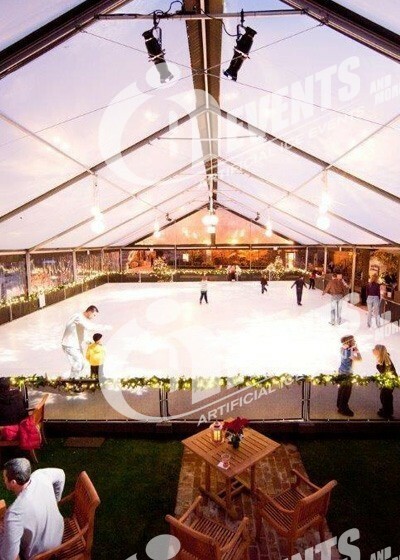 Artificial Ice Events is well equipped to handle the entire holiday experience to include enhancements like onsite skate sharpening, lighting, sound equipment, skate distribution sheds, holiday props, benches, heaters, hockey equipment and ticket booths. Aside from ice add on’s Artificial Ice Events has a full line of other winter attractions to include SnowGlobe Live and the famous Snowzilla Mobile Snow Tubing Slide. Any size, any shape, any color, any logo…anywhere!!! Artificial Ice Events is located in most major markets and has road cased equipment ready for shipment to any international market. Olympic level choreographed ice shows with skaters that not only have great talent, but a history of show style performances. We have our own skaters, rehearsal space, wardrobe stylist and choreographers that work directly for Artificial Ice Events so show production remains in house. We stock over 50 theatrical grade snow machines capable of creating anything from an intense blizzard to a light dusting. 2 million dollar liability policy and workers compensation insurance. 24 hour proposal guarantee, fulltime office staff, professional onsite ice technicians. counter, fencing, skate sharpeners and more. 100’s of installations to include reputable clients...!